between an elderly musician and his student. Besides Jalota as the lead character, the film has a supporting cast headed by veteran actor Soumitra Chatterjee along with Biswajit Chakraborty, Santana Basu, Devajit Chakraborty and Deepto. The role of Bini is portrayed by newcomer Maitry Barman. The film is almost set for release. Q Acting and singing, that too Ghazal, are poles apart as professions.What is your take on this? I am of the conviction that belting out emotions through a song can be deemed a kind of acting in accordance to the lyrics and melody. If the song is devotional, the emotion expressed while singing it will be devotional. If it is romantic, the emotions conveyed will also be the same. So vocalising Ghazal or Bhajan is not very far from acting. Q Rockstar Bini is a Bengali film.Does the language pose any barrier for you? There are certain dialogues in Hindi and some of these are beautifully scripted in Bengali. So with a bit of extra effort, the language wasn’t much of a difficulty. Q As a performing artiste of Ghazal would you consider acting also as a performing art? Acting, I think, is a part of life. No one is genuine all the time. It often happens that our minds say one thing and we do something else. We fail to follow our conscience and put on a mask. Q Is this film your maiden project? No. This is my third film in Bengali. The first was Bhranto Pratik, secondly, I did Kalankini Nayeekaand. Currently, I am engaged in shooting for Rockstar Bini. Q How would you assess your role in the film? 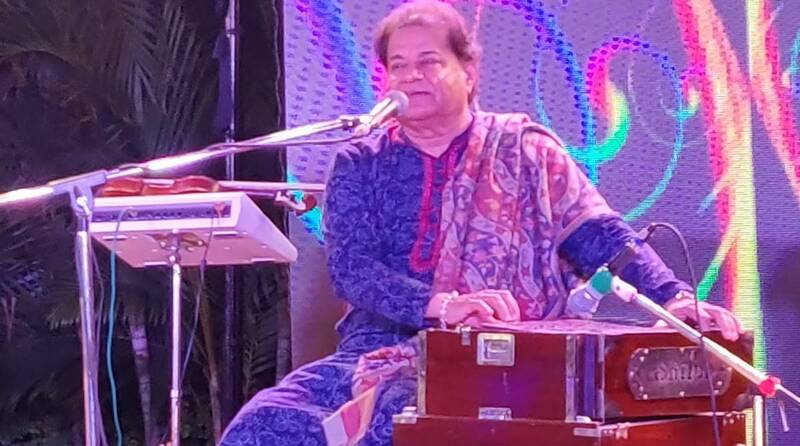 I am immensely pleased to portray the role of a Hindustani classical music exponent who is revered by society as a senior musician in his early sixties. Q Have you also been a part of Bollywood films? I have contributed as singer, music director and producer of many Hindi and Bhojpuri films and also acted in some of them. Q What convinced you to act in a Bengali film by a relatively new young director from Tollywood? It happened through a popular reality show of which I and Barman was a part. Q Besides films,what other projects are you engaged with at the moment? Mostly, I do music recordings for my concerts in various countries and continents. Aside from this I am engaged with some charity events to support the weaker segment of society. Q What is your impression of the audience in Kolkata as compared to other cities? The audience or listeners in Bengal are more musically aware. Practically, in every household, music reigns supreme. It is considered more than just a leisurely pleasure. Everyone somehow or the other are connected to music. Q What, according to you, is the future of Ghazal? Ghazal is a form of beautiful poetry and it explains to those who would care to listen, the various moods of romance and its subtle nuances. In this world, Ghazal will survive, so long as romance survives. Q Who are your favourite Ghazal exponents among the eminent names in this discipline? In the present time, Gholam Ali, Talat Aziz, Hariharan and Pankaj Udhas are all excellent Ghazal performers. Q Had you not specialised in Ghazals, what would you have been? I would have been a cricketer.